Until recently, the easiest way to get there was to fly into Toronto, which landed you two hours away from Stratford. Your only other alternative was a grueling nine-hour drive. But as of last May, American Airlines has opened new service to the Region of Waterloo International Airport a mere 30 minutes from Stratford. If you fly out of O’Hare, you can be in Waterloo in an hour, or you can make a quick connection through Milwaukee’s Mitchell Field in about the time it takes you to drive to O’Hare. Either way, it’s fast, allowing you to cram in a whole lot more vacation in a much shorter amount of time than was previously possible. Tiny Waterloo airport is a breeze — modern, tidy and easily navigable — with free WI-FI, a pocket-sized cocktail lounge and a friendly café and sandwich shop stocked with home-baked goodies. But what’s best about it is that its modest size means you can be driving off in a rental car to your destination within ten minutes of touchdown. If only all airports were this easy. So. Suddenly you’re in Ontario (gee, that was fast). Since you’ve been a clever traveler, you’ve got money to burn and time to kill before the curtain rises in Stratford, 30 minutes drive to the west. But what are you going to do with yourself in the meantime? I’m so glad you asked. Lucky for you, I happen to have some great suggestions. Rather than simply make a beeline for the Stratford Festival, use that extra time to sample some of what the rest of Ontario has to offer. Start by beginning at the beginning, by taking a tour of the Waterloo Region Museum, an award-winning modern structure whose exhibits offer a fun and creative look at the history of the area and its people, from pioneer days to Waterloo’s more recent reinvention as a kind of Silicon Valley of the North. The building itself is a brilliant work, and would be worth a visit even if it were vacant. The museum is creatively devised to overlay and highlight the natural and historical features of the site — old wagon trails and extinct train lines — rather than negating them. 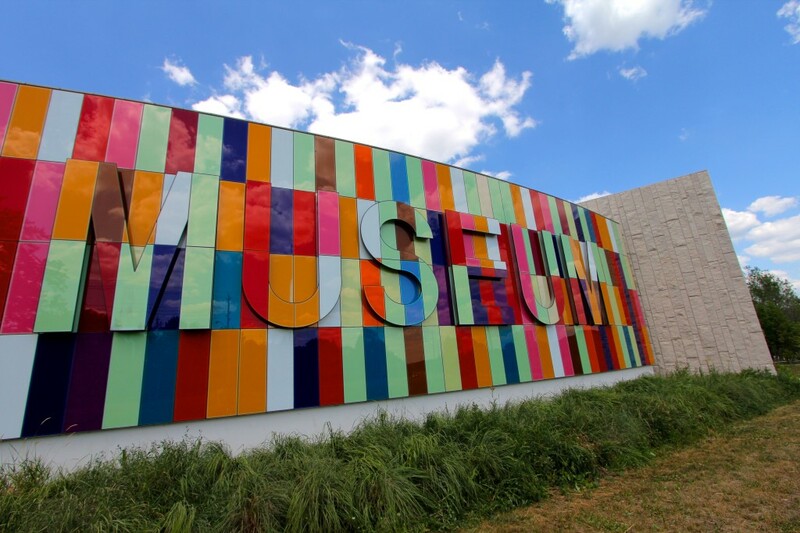 The multicolored facade is not merely decorative, but actually contains an encrypted quote relevant to the museum’s mission, and the artful arrangement of the exhibits within make this a fine introduction to the region. If you’re an architecture buff, this is just the first course. The area has an outsized reputation for world-class architectural design. You’ll see more evidence of that later. Now that you’ve experienced this nifty overview, it’s time to get a taste of the best hospitality that Ontario has to offer. 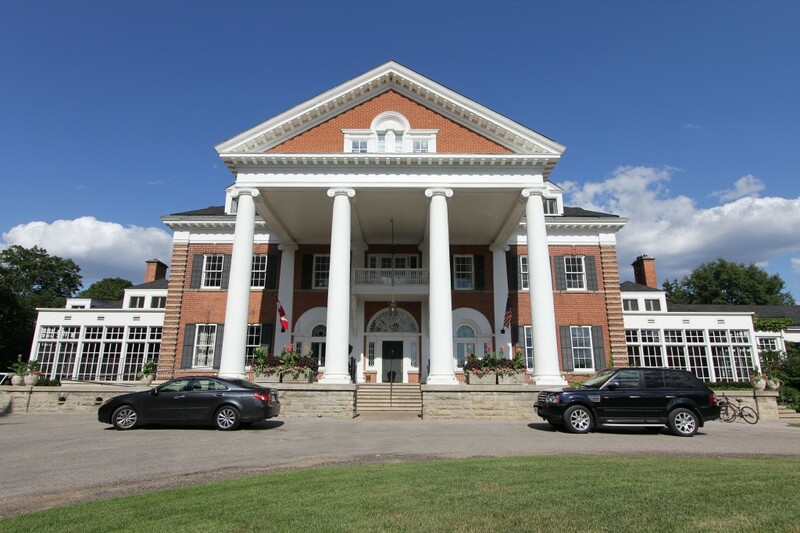 Fifteen minutes away from Waterloo airport is the finest resort hotel in all of Canada: Langdon Hall Country House Hotel & Spa, a gilded-age jewel nestled in 200 acres of pristine Carolinian forest. Originally owned by Eugene Langdon Wilks, a great grandson of John Jacob Astor, it was built in the Federal Revival style and completed in 1902. Purchased in 1987 by architect William Bennet and his wife Mary Beaton, it soon underwent an 18-month renovation and expansion, and reopened as a grand hotel in 1989. And I do mean grand. This Victorian gem was brought back to itself in the most sensitive manner possible, and is now better than ever. To cite just one example, the landscape architects went back to the original drawings to find clues to help discover the original outlines of the flowerbeds in restoring the gardens — designed a century ago by no less a dignitary than Frederick Law Olmstead — to their former glory. The resort continues to evolve and grow. While it can be a vacation in itself to simply idle in the sprawl of the gracious rooms or stroll the grounds, there are modern pleasures here that would have undoubtedly made the home’s original inhabitants green with envy; a luxury spa offers a variety of pampering treatments. 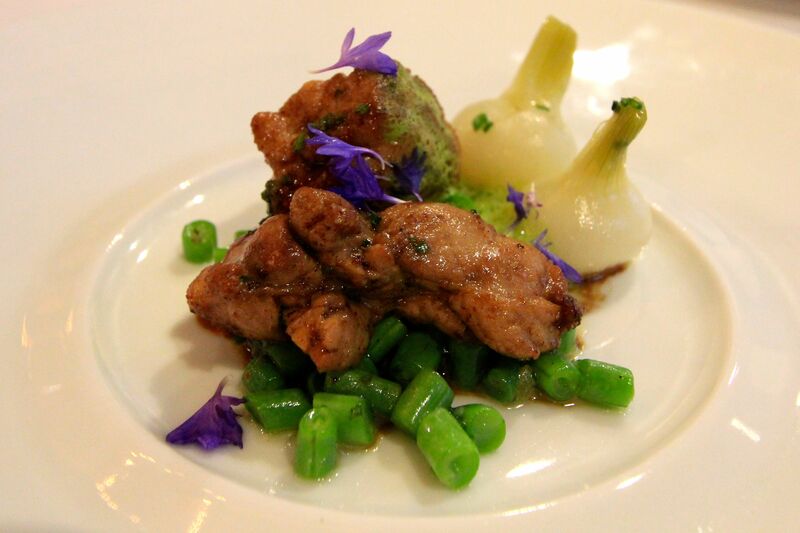 The best sweetbreads in the world at Langdon Hall Country Resort & Spa. A huge and varied herb garden serves the kitchen of the award-winning, five-diamond-rated dining room, presided over by chef Jonathan Gushue, whose spectacular dishes make Langdon Hall an authentic pilgrimage destination for foodies. The sweetbreads with rapini flowers and sea asparagus I had for dinner were the best I’d ever eaten, and the breakfasts here, like the light and fluffy pancakes stuffed with riccota cheese and lemon and covered in maple syrup, draw in fans from miles around. Note: the wine list features a huge selection of truly excellent Canadian wines, and if these northerly wines are not on your radar, they most certainly should be, especially the superb vintages coming out of Niagara Peninsula. Don’t miss them. After dinner, wind your way through the sunny rooms to the palatial porches and settle into a chair to watch the light change across the manicured green lawns. Challenge a stranger to a game of billiards in the richly detailed parlor and live out your Jay Gatsby fantasy. When it’s time to retire for the evening, you can sleep in a posh, spacious suite with a wood-burning fireplace, historically inspired built-ins, and a spa bath that could conceivably accommodate a family of four. When you stay at Langdon Hall, you can feel, however momentarily, what it must have been like to be a member of the Astor family. Turns out it’s a nice feeling. Two destinations, two very different architectural pleasures, and more to come. On your way to St. Jacobs — another short hop on your meandering way to Stratford — you’ll be backtracking through Kitchener to visit the Canadian Clay & Glass Gallery to view exhibitions of ceramics and works in glass by Canadian artists. Before you depart the museum, take some time to check out the neighborhood. The Clay & Glass Gallery resides at the corner of Erb and Caroline, one of the most notable street corners in all of Canada, as it hosts not one but three modern structures (of which the Gallery is one) that have won the prestigious Governor General’s Medal in Architecture, including the famed Perimeter Institute and the Centre for International Goverance Innovation. Once you’ve picked your jaw up off the pavement, head out for St. Jacob for a taste of the art of the simple pleasure. The Mill at St. Jacobs, Ontario. Twenty minutes northwest from downtown Kitchener is the charming arts village of St. Jacobs, a small hamlet of a couple thousand people, overflowing with artists who ply their crafts in a sprinkling of interesting historic buildings. 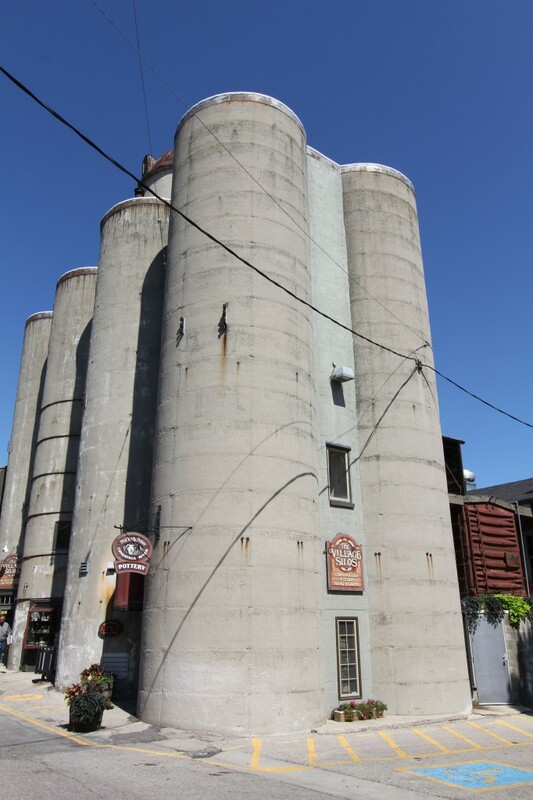 Definitely worth a look is The Mill on King Street, a series of old silos that have been taken over and honeycombed with shops, displaying a variety of tiny museums, artworks, crafts, and some endearingly eccentric personal collections. 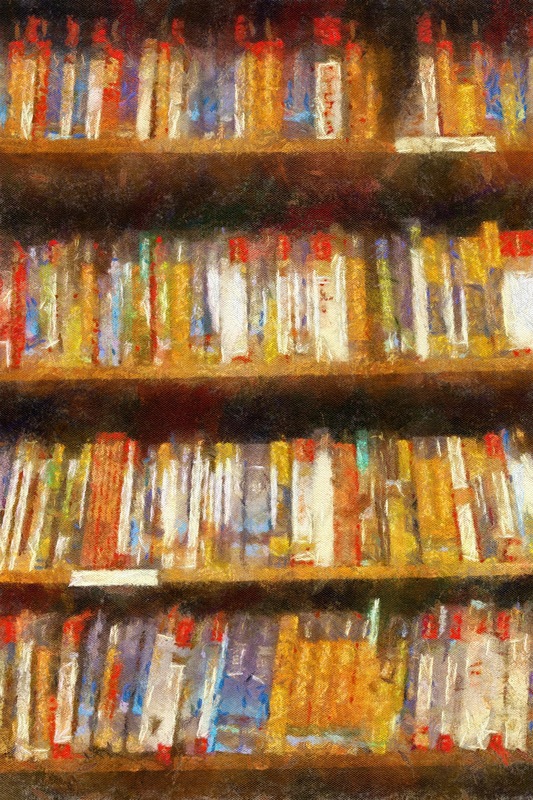 Make sure you find your way to the Neufeld Gallery to see the work of adopted son Woldemar Neufeld, a German-born printmaker, painter, and sculptor who came to capture the region in art and ended up making it his home. Admission is free, but donations are appreciated. Before you depart St. Jacobs, pay a visit to the Visitor’s Center at 1406 King Street to see The Mennonite Story. You will likely have already seen members of the Mennonite faith in Ontario, and particularly in this part of the province. Follow the docent down the stairs to the basement to see the museum and 13-minute video presentation that begins your tour. I went to this museum with some initial skepticism, I will admit, but from the first moments of the introduction, it had my full attention. The people who follow this peaceful and very traditional offshoot of the Protestant faith are mostly known for their 19th-century clothing and refusal to adopt modern technologies in their daily lives, but this museum deftly humanizes them, and paints them in a sympathetic light. While it might not convert you to their faith, it makes an eloquent case for tolerance towards the beliefs of others, particularly in its touching multimedia finale. Being able to advance our understanding of people from other cultures is one of the best opportunities of travel, and this tiny museum quietly yet powerfully delivers on that possibility. As far as you’ve wandered, you’re still less than an hour away from Stratford. 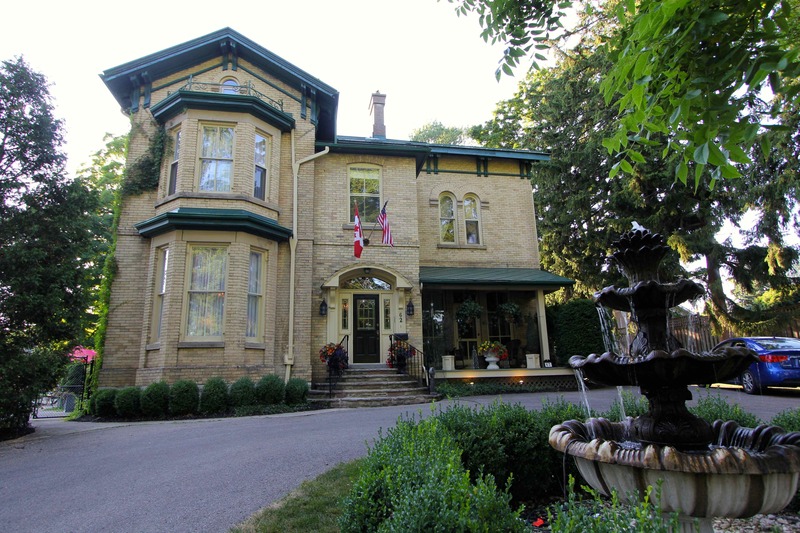 Once you arrive, no one could blame you if you wanted to get out of your car for a few days, and the recommended Stewart House Inn is a lovely place to call home during your stay. It’s only two short blocks from the theater district and festival activities. Staying here, you can stroll the green park that follows the Avon and watch the swans glide along the river on your way to see some of the world’s best theatre. 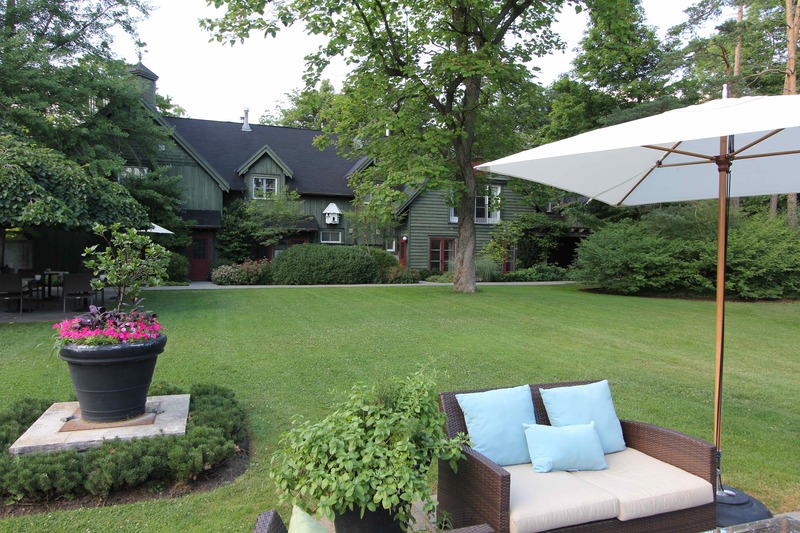 A magnificent 1870 Victorian manor house, renovated and run by passionate preservationists Marc Armstrong and Lynn Logie, Stewart House Inn manages to be luxurious and cozy, featuring many playfully themed rooms, an Olympic swimming pool, a restaurant-quality kitchen that creates some stellar cooking, and two adorable little dogs standing ready to greet all guests. Marc is also happy to help guests secure reservations around town upon request, so you can also add concierge to his considerable list of talents. There are lots of things to do in the region, so regard this list as just a gentle push to get you started. Many people dash in to see the Stratford Festival and then dash home, but they’re missing out. The Waterloo Region has a wealth of attractions, and your journey to the Stratford Festival offers a great excuse to stop and smell the roses along the way.